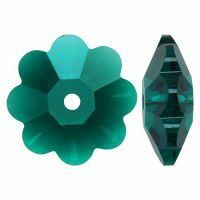 Browse our range of Swarovski Crystal Beads and Swarovski Decorative Elements. Today, Swarovski crystals are used on clothing, bags, shoes, nail art, and of course, for jewellery making! We stock a large range of Swarovski bicones, chatons, flat back crystals, crystalettes and more!